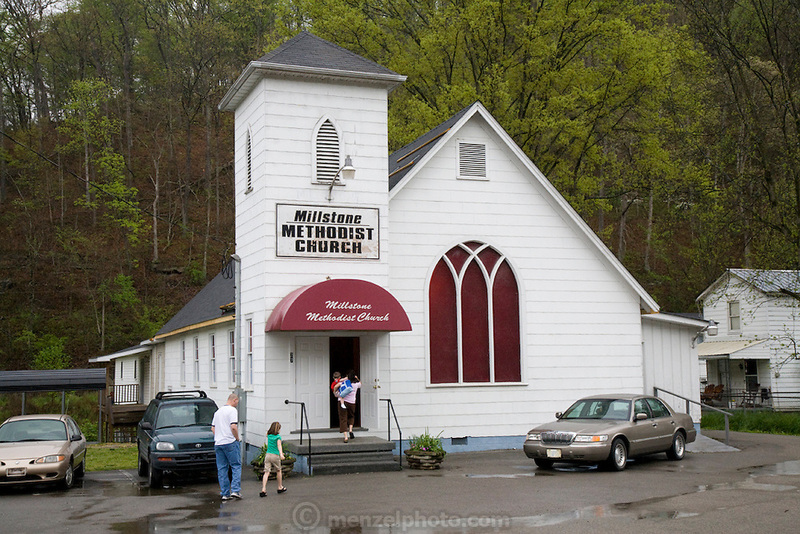 Todd and Cristy Kincer entering the Millstone Methodist Church, near Whitesburg, Kentucky, where coal miner Todd Kincer works. (Todd Kincer is featured in the book What I Eat: Around the World in 80 Diets.) The pastor of the church is Todd's father, Harold Kincer, himself a retired coal miner and county employee.